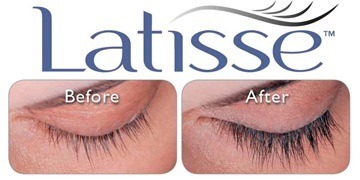 Latisse is a revolutionary prescription eyelash treatment that can enhance the length and appearance of your eyelashes. Latisse is a daily solution you apply to the base of your upper lashes every evening. You’ll begin to see growth at 4 weeks with full results after 16 weeks. To find out if Latisse enhancement for eyelashes is right for you, schedule a visit at out office today!